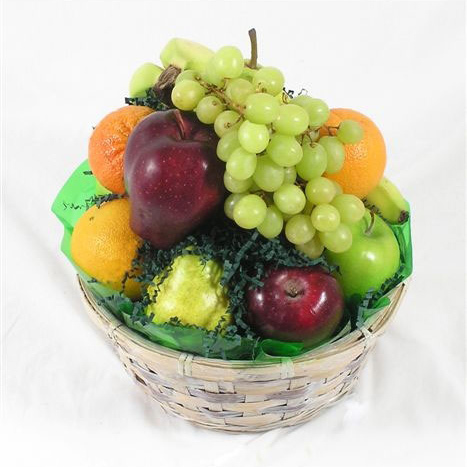 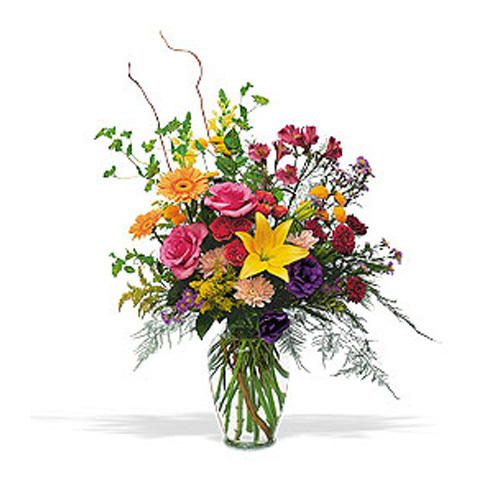 WW-173 Send a gorgeous combination of colorful florals. 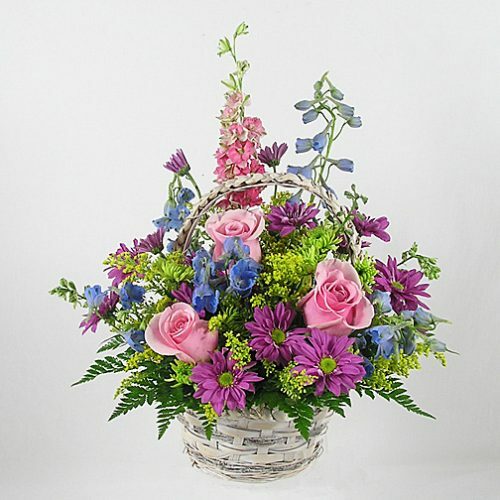 Delphinium, carnations, gerbera daisies, alstroemeria and roses are featured in this fresh and fabulous bouquet! 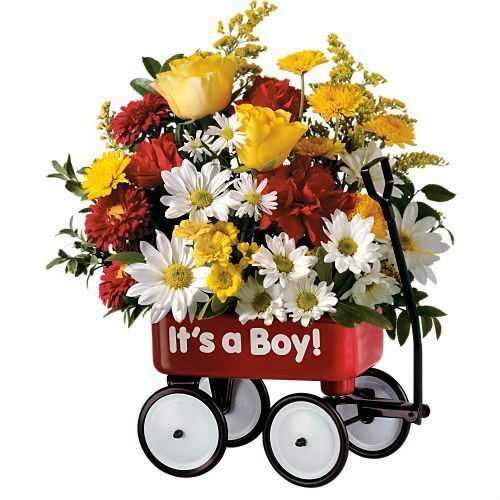 Send a gorgeous combination of colorful florals. 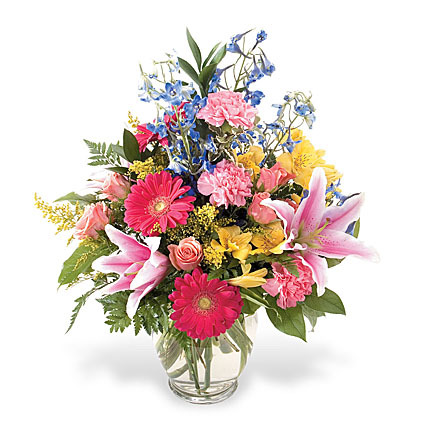 Delphinium, carnations, gerbera daisies, alstroemeria and roses are featured in this fresh and fabulous bouquet!